This year for Christmas I wanted to do something a little different. For the last 12 months (literally since last Christmas!!) I’ve been dreaming about putting together a black and white Christmas scheme. No that I’m in my new townhouse, even though it’s not renovated yet , it still seemed like the perfect opportunity to go all out with Christmas decor in beautiful, black white and gold. 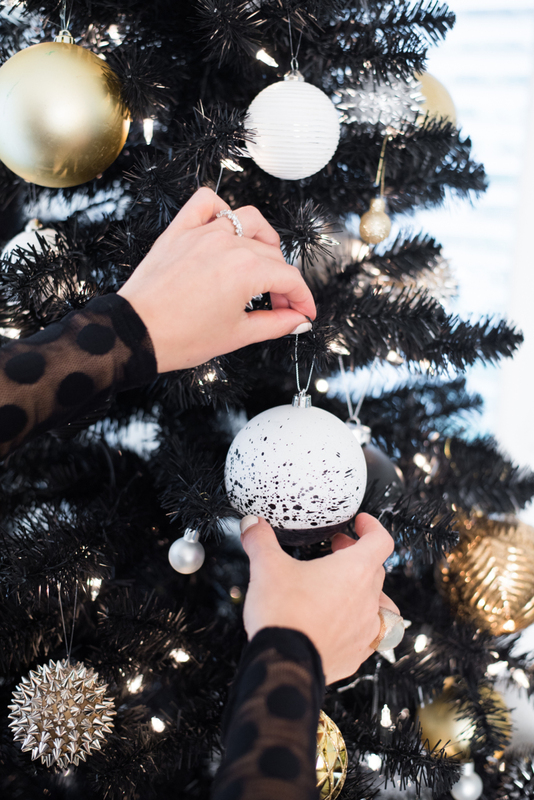 I gave my living and dining room a fresh coat of Benjamin Moore White Paint and scooped up a gorgeous all all-black Christmas tree from Canadian Tire. The combo was the perfect jumping off point for the rest of the decor! 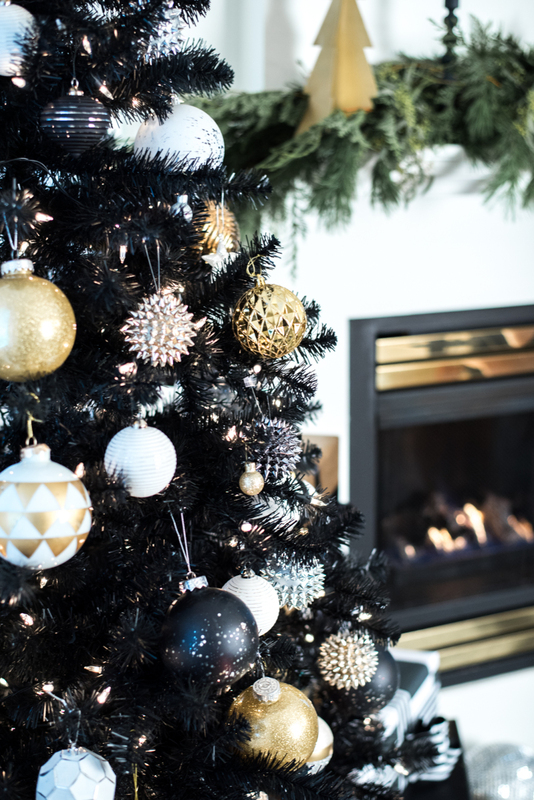 I used accents of silver and gold to complete the look and after filling the tree with beautiful ornaments from Canadian Tire, CB2 and Crate & Barrel, my living room has been transformed into a beautiful and glamorous black and white Christmas setting that I absolutely love! Thanks for stopping by and stayed tune for my next post on black and white holiday entertaining.